The compact crossover SUV class is one of the most popular on the market today. Drivers and passengers are searching for a vehicle that is small in size, but big on features and more. 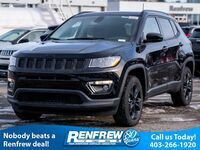 The best compact SUVs offer drivers a powerful, yet efficient engine and a host of safety features. Fortunately for those discerning shoppers, the 2018 Jeep Compass has arrived. 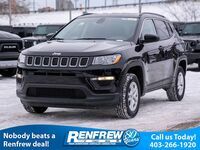 The 2018 Jeep Compass offers drivers in Calgary a small and compact crossover SUV design. The Compass offers a standard front-wheel drive configuration, as well as an available four-wheel-drive system for those who need their vehicle to keep up with their adventures. The Compass is also packed with the latest and great interior features and a list of standard and available safety features. 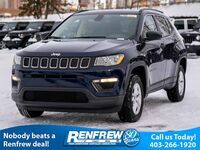 Let's take a closer look at the 2018 Jeep Compass by comparing it to another favorite of the compact SUV market, the 2018 Chevrolet Trax. See how the Compass outperforms its class! The biggest difference between the 2018 Compass and the Trax is the amount of passenger and cargo space that is offered. While these are both compact SUVs in size, the Compass is designed better to give you even more flexibility. The Compass offers a maximum interior cargo volume of 59.8 cubic feet. That's over ten more feet of cargo volume than the Chevy Trax's 48.4 cubic feet of maximum interior cargo volume. Additionally, the Compass offers passengers more rear shoulder and legroom, as well as more front shoulder room, hip and legroom. 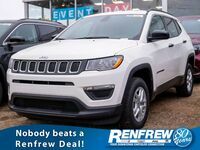 Overall the 2018 Jeep Compass boasts an impressive 100 cubic feet of total passenger volume. Additionally, the 2018 Compass offers a number of capability features, giving your vehicle the edge off-road or in inclement weather. 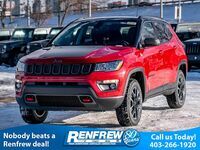 The Compass offers Jeep Active Drive 4x4 and Active Drive Low 4x4, rear axle disconnect and a 20:1 crawl ratio.The Compass also boasts impressive power with its 2.4-liter Tigershark MultiAir® 2 engine, including up to 180 horsepower and 175 lb.-ft. of torque. The Compass also features three transmission options: six-speed manual, six-speed automatic and nine-speed automatic transmission. The Trax, however, only offers a 1.4-liter engine capable of 138 horsepower and 148 lb.-ft. of torque. 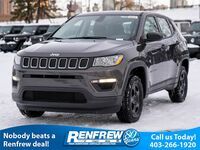 Overall, the 2018 Jeep Compass offers more than the 2018 Chevy Trax. Amazingly, the Compass is also about $1,000 more affordable than the Chevy Trax. 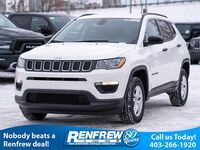 Schedule a test drive of the 2018 Jeep Compass at Renfrew Chrysler of Calgary, AB and see how powerful, capable and versatile this small, compact SUV is!